Don’t let anyone see you cry. I mean, it’s okay for now, in front of me, but just so you know the big picture, I wouldn’t do it at work. It’s a sign of weakness. — my previous boss had whispered. We were in her cubicle, which had just enough room to wedge my pregnant belly in between her desk and the chair I was sitting in. I rubbed my baby bump trying hard to swallow the lump lodged in my throat and deny the flood of tears bubbling up, but it was useless. I had just gotten off the phone with my OB/GYN who asked me to come in to discuss some recent tests results. Should You Show Emotions at Work? I get asked this question a lot. Unless you're a robot, the answer is YES! Emotions absolutely belong in the workplace and are a key ingredient to success, regardless of what others might state as the cold hard facts. The key is making sure that what you express is authentic, proportional to the situation, and done in a matter that fosters connection. Question: Think of someone you admire from your professional life. I’m going to assume that individual doesn’t act like a robot, and you feel some kind of emotional connection to them. Right? There is no such thing as good and bad feelings. They are all just feelings. We just label the ones we aren’t comfortable with as bad like anger, annoyance, frustration, sadness, disappointment. You know the list. We’re encouraged to bring the “good” feelings to work but as soon as the bad ones showup, alarms go off. Why? It’s because of that guy, the one three doors down from you, who rattles the glass in your office window whenever he tells off a client or direct report, or that woman, the one in finance who sobs every time something doesn’t go her way. When we don’t manage our “bad” feelings in an appropriate way, they negatively affect our professional relationships and career advancement, and frankly the overall reputation of emotions in general. Imagine this, you’ve lived and breathed a project for the last three months and it’s now time to roll it out to your executive team. Only, you’ve come to find out your boss has cut you out of the meeting and he’s going to present the update. You’re furious. Your limbs are tingling with anger. You picture yourself stomping over to his office, swinging open the door and letting him have it. The problem is, that impulsive act won’t achieve a desirable outcome. Instead of spontaneously expressing your emotions in a heightened state (we all know where this leads), strategically express them using a 3 key principles rule. I challenge you to take out some paper and a pen right now. 1 // Give yourself 1-2 minutes to get through the heightened state. During this time, don't replay or overthink the situation (this will only fuel your emotional surge), breath and just feel the emotion, do nothing more. If necessary grab a coffee, take a walk, or lock yourself into a toilet stall, whatever it takes to calm down. 2 // Ask yourself, does the next action I want to take honor my 3 key principles, and if so, is it an act I'll feel proud of 2 days from now? 3 // If yes, proceed as planned! If no, explore why, and realign your actions with your principles. 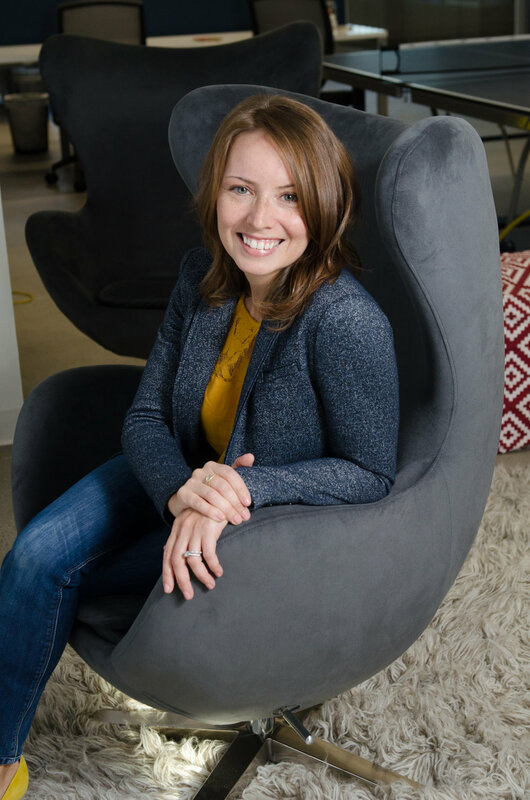 Chelsea Szabo is a certified career and personal growth coach, speaker, and founder of VerbalCourage, a company dedicated to helping women develop sustainable courage and confidence in their career. With a decade of sales and advertising experience she has deep insights into the minds and hearts of her clients.